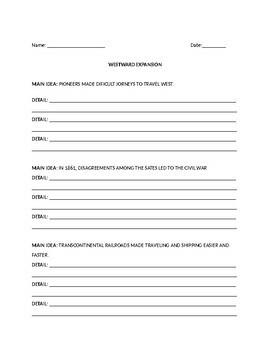 This product is a Microsoft Word digital download addressing Westward Expansion. 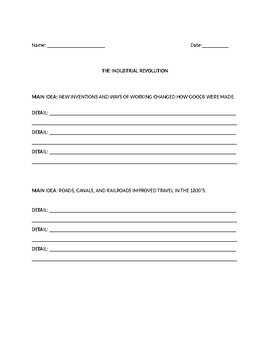 Main ideas are given and students are required to find supporting details. 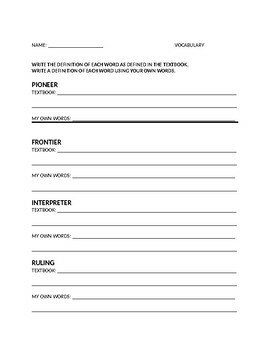 It also includes a domain specific vocabulary worksheet.